One of the biggest scams in real estate is fraud. This is when people use stolen information to take advantage of buyers. You will need lawyers from firms like Stoner Law if you don’t want to become a victim and lose huge amounts of money. The unauthorized seller may use someone else’s name to take advantage of you. The name could be of someone who actually owns a property but hasn’t given permission to sell it, or it could be a fake name, and there’s no real property at all. If you haven’t noticed the scam, a lawyer might be able to, which is why you need them. Some people will sell their property because they need the money for other stuff. It could be because they’re moving to another house, or because they need to pay for something much more important than living in their current house. However, there are also people who sell their home to support their bad habits. A double sale happens when the owner sells one property to two or more people. For example, you already agreed to buy the property, and the seller required you to pay the down payment or some amount of money. They claim that they’ll get started on processing the documents, but they’ll actually be trying to sell it to another buyer. If you have a real estate lawyer, you can avoid this from happening to you. If you don’t know it already, your attorney will tell you not to shell out some money without proper documentation first. The documents involved in real estate transactions may include terms that you may be unfamiliar with. Even if the seller or realtors explain it to you, they may do it in a way that confuses you, or they try to fool you into agreeing without fully understanding the terms. If you plan to start real estate investing, you’ll be dealing with stacks of legal papers, so you’ll need some help. If you hire a real estate attorney, you won’t get duped into signing those documents. Your lawyer will have your best interests in mind so they will clearly explain the terms to you. They’ll also spot some loopholes or any suspicious things in the documents. Your attorney will be your adviser and guide when the contract needs revisions. The documents involved in real estate transactions may include terms that you may be unfamiliar with. Properties always have their pros and cons. If you want the perfect house, then you’ll have to build it from scratch. It will cost you a lot of money, especially if you want only the best materials and appliances. But for properties that are already fixed or built, you’ll just have to deal with what you have then improve it once it’s yours. When there are property issues, it should be clearly stated by the seller. Whether it’s clearly seen or hidden within the walls, the buyer should know about it. If there are hazards that you don’t know about, you might be overpaying. Plus, the potential medical costs it may bring will also burn holes through your pocket. You may need a real estate lawyer to help you get transparency on these issues. You may also want to know about the environmental hazards that may be out of the control of the previous owner. Those things can affect the likelihood of sale so sellers might try to avoid the topic. As the potential new owner of the property, you need to know the status of the title of the property. When you buy it, the title will be transferred to you, so there should be no issues about it. It acts as proof of ownership so it must not have any legal problems. 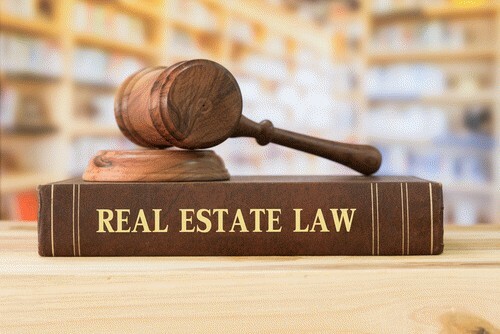 A real estate lawyer will do a title search to make sure that all information is legitimate and that there are no issues with all the previous owners. You’ll know about title insurance or if there are any restrictions regarding the property. Many people might take advantage of property buyers because of the lack of lawyers to guide them. As a buyer, you should be extra careful because real estate transactions cost a lot of money. Surely, you don’t want to lose your hard-earned cash because of the mistake of not hiring an attorney.